We got to see the new Audi A5 and S5 Coupe back in now the new Audi A5 and S5 Cabriolet are official and the S5 feature a new six cylinder turbo charged engine which has 354 horsepower. There are a choice of three engines for the A5 Cabriolet, these include a 2.0 TFSI petrol and a 2.0 TDI diesel, there is also a 3.0 litre diesel engine. 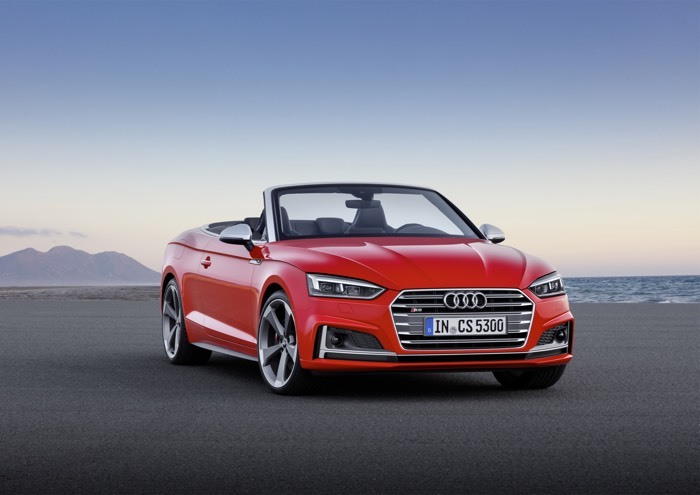 You can find out more information about the new Audi A5 And S5 Cabriolet over at Audi at the link below.